The Russian company won the tender for the design of the second phase of Upper Siang hydropower project and will participate in the tender for its construction. JSC RusHydro said it signed a contract with India’s state-owned North Eastern Electric Power Corporation Limited (NEEPCO) to design the second phase of Upper Siang hydropower project – one of the largest hydroelectric plants in Asia and the largest in India. The facility will have installed capacity of 3,750 MW and is regarded by the Indian government as a high priority national project, the company said. In addition, representatives of the company announced that it will participate in the tender for the construction of the same hydroelectric station – the project as a whole is estimated at $16 billion. The company’s Asian expansion has been nurtured for nearly 10 years. In the face of deteriorating conditions with the West, this vector becomes increasingly imperative. Under the tender, won by RusHydro, and the Hydroproject institute, the research and design will take 24 months. Rizhinashvili said RudHydro would try to win a tender for the actual construction and, if successful, this would be the company’s largest overseas project. At present, RusHydro is working on two large-scale international projects. Since 2011 the company controls the cascade hydroelectric station in Armenia. In 2012 construction began on the Upper-Naryn cascade station in Kyrgyzstan, which will be commissioned in 2019. In the last decade, RusHydro had plans to branch out to India, Laos, Nepal and Bhutan. 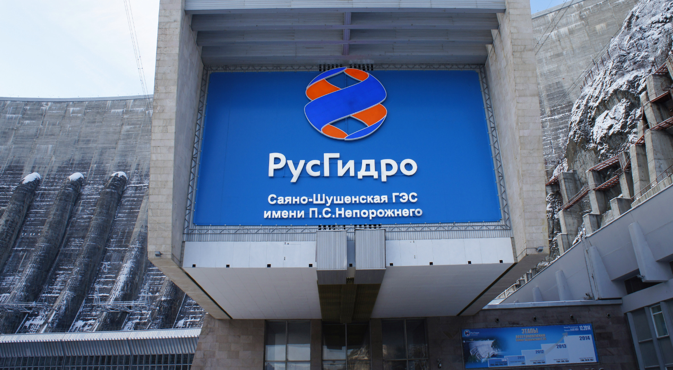 However, the company RusSUNHydro Limited (established in 2007 in collaboration with the Indian group SUN) did not proceed with a planned project because the projects’ indicators did not meet the demands of the shareholders’ investment policies. Nikita Maslennikov, an analyst from the Institute of Contemporary Development believes the new project gives an additional stimulus to the development of bilateral Russian-Indian economic relations. Against the backdrop of strained relations between Russia and the West, the revitalization of Russian companies in Asia seems logical – especially considering the Indian position on the Crimean issue. It is widely believed that India will not support US and EU sanctions on Russia. RusHydro is also preparing to open a new university in the country. Rizhinashvili said, by 2015, a hydro engineering university will be opened in Arunachal Pradesh. This educational institution, which will have Russian faculty, will train personnel for the stations, dams, and other objects of significance. Many Russian specialists who work on Rushydro projects could double up as faculty at the institute. “Our Indian colleagues approached us because Russian engineering schools are considered world class. The training scheme and work of the university is being discussed, but I can already say that it will be a typical hydro engineering institute with elements of energy efficiency with different departments for the design of dams and objects of hydro technical significance,” he explained. Rizhinashvili did not disclose information on the number of students or departments. A member of the RusHydro board also said that the standards of Russian design incorporated into the Indian objects will enable Russia to enter into a leading position in the Asia-Pacific region. “We want to create a springboard for a group of Russian companies which will develop their construction bases in the region and implement infrastructure projects in the next 20-30 years. This is our strategic commitment,” added Rizhinashvili.